The brand-new restaurant, Pioneer Crossing just opened on Peak 7 in Breckenridge. This new on-mountain establishment can seat 490 people and is located just a few steps from the top of the Independence SuperChair on Peak 7. Breckenridge Ski Resort has been looking forward to opening this restaurant for some time. They wanted to offer on-mountain dining on a large scale for guests who enjoy spending time on the north side of the resort between Peak 6 and Peak 7. Pioneer Crossing will have its own unique spin on mountain cuisine. Signature dishes like Pioneer Lamb Pie, a variety of house-made options like fresh salads to order and a Mediterranean station set this restaurant apart from other on-mountain restaurants at Breckenridge Ski Resort. Breckenridge Ski Resort and Vail Resorts announced the appointment of the resort’s new executive chef, Earnest Brown. Chef Brown brings extensive knowledge to Breckenridge Ski Resort dining. 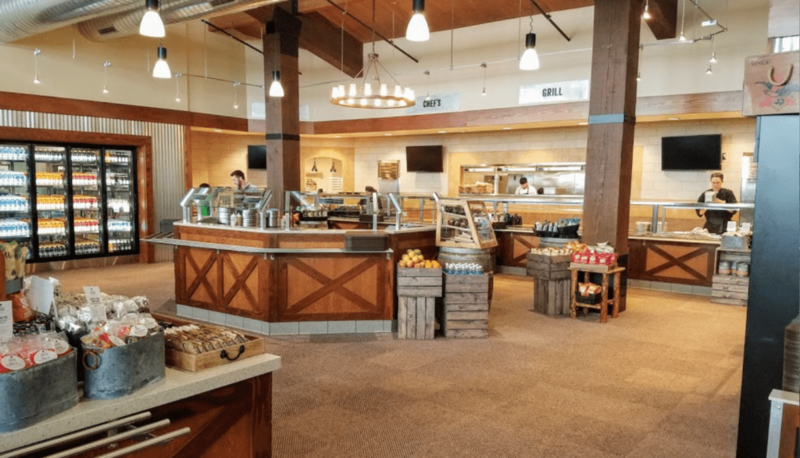 He will oversee all the Vail Resorts family restaurants in Breckenridge that include; Ski Hill Grill, TBar, Vista Haus, Overlook Restaurant, The Maggie, Ten Mile Station, Sevens and the newly opened Pioneer Crossing. Chef Brown has an extensive culinary career that started at a young age working on the family ranch and in the steakhouse his father owned and operated. He built a solid foundation in the culinary field in Las Vegas where he worked his way up from prep cook to sous chef and then to executive chef. After opening the successful House of Blues restaurant inside the Mandalay Bay Hotel and Casino, he helped open several different restaurants in New Orleans, Chicago and Anaheim. In 2010 Brown joined Caesar’s Palace working as an executive chef opening restaurants with Bradley Ogden, Gordon Ramsay and Guy Savoy. He additionally helped create large epicurean events for Bon Appétit and networked with various chefs including Francis Payard, Giada, Bobby Flay and Emeril Lagasse. Being a family man, Chef Brown was drawn to the family atmosphere of Breckenridge and made the move from Las Vegas to Breckenridge this past fall. Breckenridge Ski Resort and Vail Resorts believe his extensive experience and knowledge will elevate the on-mountain experience for all guests and are so happy to welcome him to the team of experienced chefs and staff.